Eone. Very Good. Bedtime for Peppa (Peppa Pig) by Scholastic, 2015-08-25. Trade paperback (US). Glued binding. 24 p. Contains: Illustrations. Peppa Pig. Intended for a juvenile audience. Eone. Good. 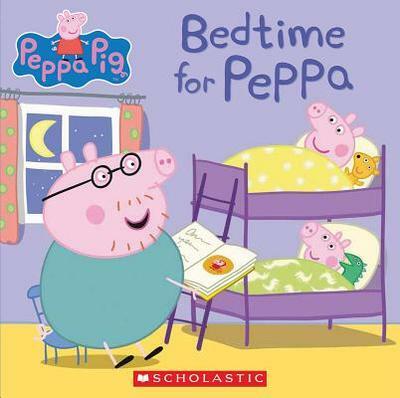 Bedtime for Peppa (Peppa Pig) by Scholastic, 2015-08-25. Trade paperback (US). Glued binding. 24 p. Contains: Illustrations. Peppa Pig. Intended for a juvenile audience. Very Good. 054584231X Ships from Tennessee, usually the same or next day.